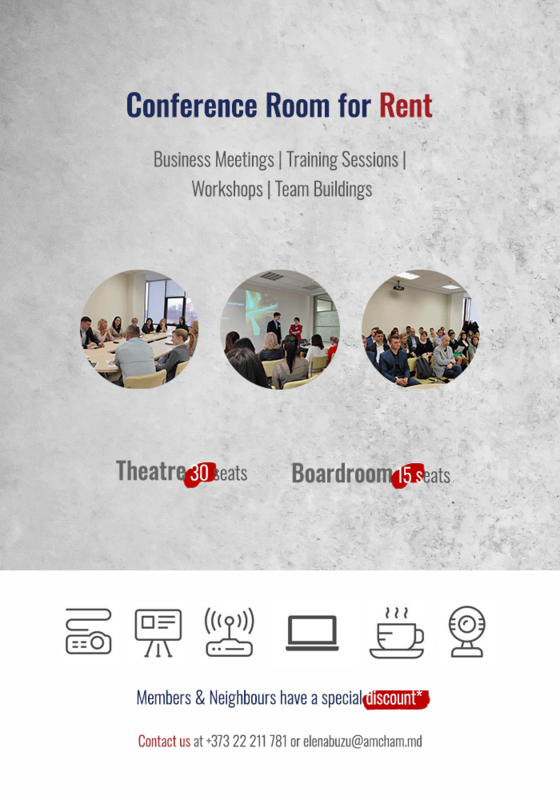 Starting with January, AmCham has a new conference room, in a walking distance from the city center, which is available to rent at a special price. The conference room can be used to organize roundtables, team building days, or any event your company is organizing. With a capacity of up to 30 (theatre) and 15 (boardroom), this room is adjustable to your needs. The investment is 130 euros per day or 80 euros for half a day. The offer includes a projector, flip chart, laptop, wi-fi, tea/coffee. For more information, get in touch with Elena Buzu at elenabuzu@amcham.md or click here to see the brochure.